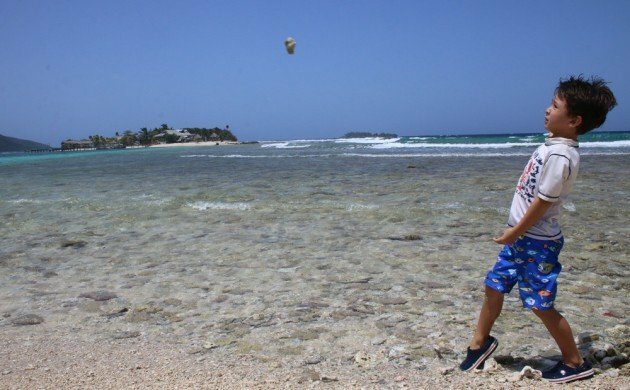 Sure, it’s been well over a month since I returned from my fun-filled, family vacation to Honduras but that doesn’t mean that it’s too late to blog about it, right? If anything, the time that has passed since our trip has solidified the memories and cut the wheat from the chaff, which means that you will only get the very best highlights of the trip. And, without a doubt, one of the biggest highlights of our time in Honduras was our outing to Parque Nacional Marino Cayos Cochinos. 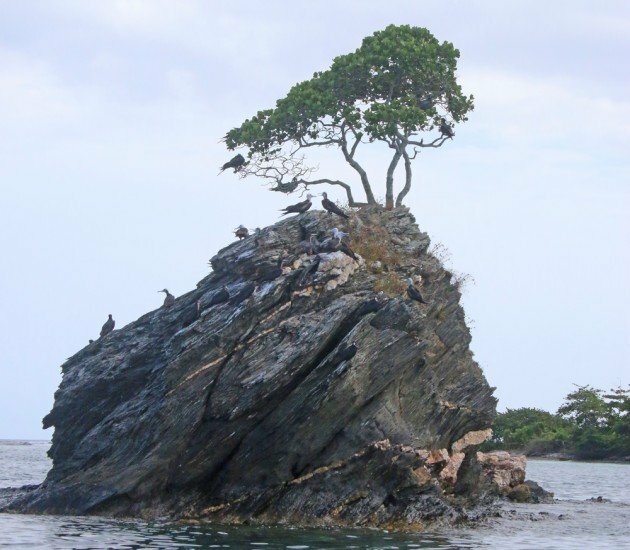 The small archipelago (two islands and thirteen cays) is a bit short of twenty miles off of La Ceiba and is bathed by the warm waters of the Caribbean. 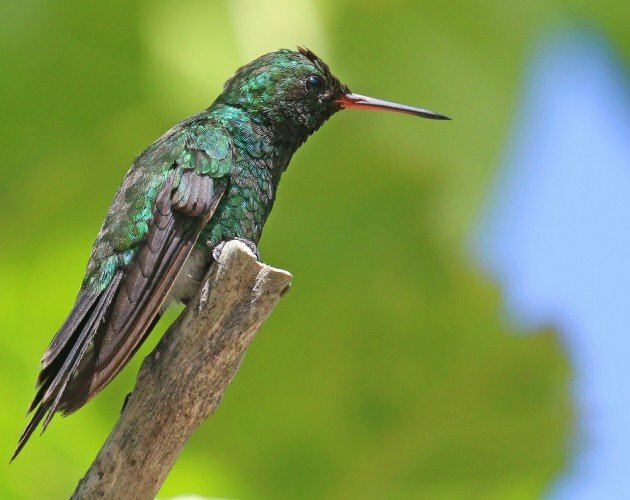 The avifauna is distinctly Caribbean as well, with some Caribbean species found only on the islands and nowhere else in Honduras. But before we could enjoy the birds there we had to get out to the islands, and our hosts at The Lodge at Pico Bonito had us in more than capable hands with our guide, Olbin Bejarano. We left the lodge at about 6:30, made our way onto a small boat at about 7:30, and were motoring out to the tropical islands in no time. We took our time getting to Cayo Grand, the largest island, puttering around the offshore rock seen above and enjoying the sight of turquoise water under blue skies. Well, Daisy was enjoying that while Desi and I enjoyed the Magnificent Frigatebirds! 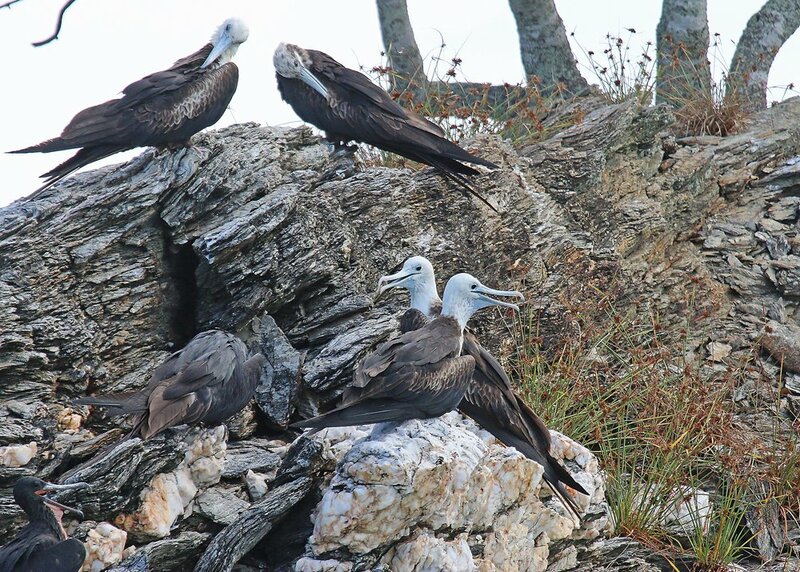 I had never before seen Magnificent Frigatebirds so young that their heads were still all white! We then put ashore and were ushered to a screening of a short video about the islands, apparently required viewing for all visitors. Then we wandered around the beach for awhile, until a shrill scream interrupted our explorations. 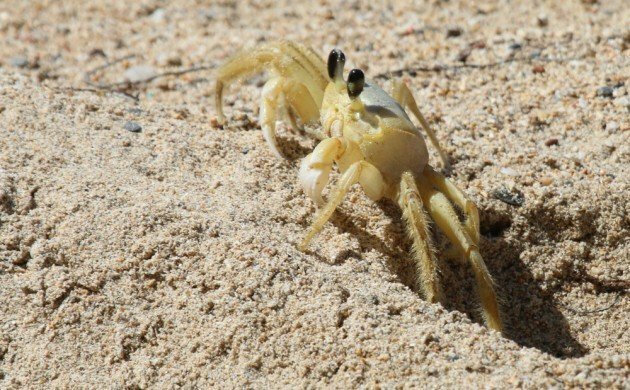 We were all amused to learn that a Ghost Crab had caused such a fright to the young girl who spotted it. The crab sighting was fortuitous though, as it led to Olbin spotting a Canivet’s Emerald which he was quick to get me on. Life bird! Well, it’s a life bird if you consider Salvin’s Emerald a separate species. Taxonomy is fun! The emerald with a disputed taxonomy wasn’t the only lifer while on the island. 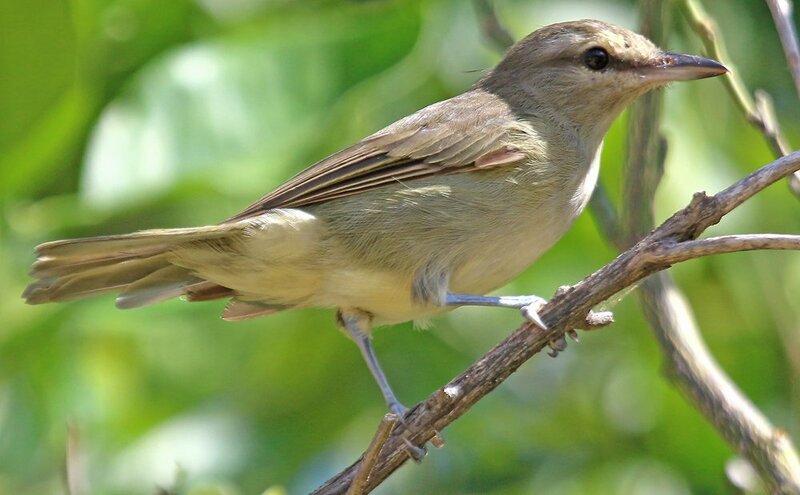 We had heard several Yucatan Vireos even while we were still offshore but actually seeing one was a bonus, especially when it cooperated for pictures. Sure, it’s essentially a bland Red-eyed Vireo with a big bill but it was still a life bird and one that I didn’t want to miss! This is as boring as it gets for a life bird in the Neotropics but a lifer is a lifer. Of course we had a lot more to do other than look at birds. Our next adventure was snorkling, which both Daisy and I were really looking forward to. Not surprisingly, it the combination of keeping the mask clean, keeping the snorkel in his mouth, and seeing stuff was a bit too complicated for Desi, so we didn’t snorkel as much as we would have liked. 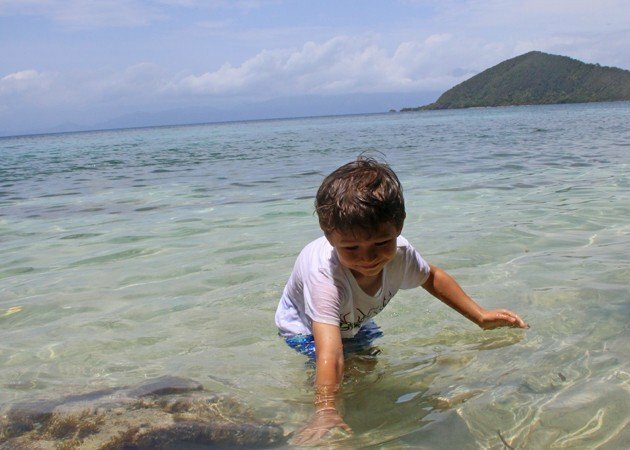 But we did see some cool fish and coral, and Desi had plenty of fun once we put ashore on a beach where he could chase fish around and enjoy the bathwater-like Caribbean. Good times in the water. 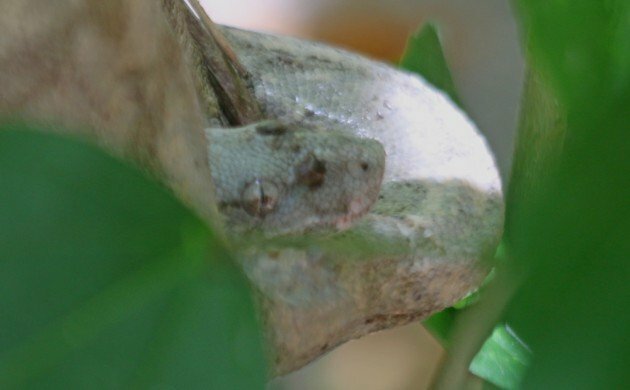 Our next stop was in search of the “pink” form of Boa Constrictor that is confined to Cayos Cochinos. As soon as we put ashore we saw two, but they were in the hands of a small boy who was glad to let us hold them. As cool as the snakes were we wanted to see a wild one and we quickly did, just a short walk from the boat. This is a horrible picture of a cool snake. I don’t know how I managed to completely butcher all of my shots of what was essentially a stationary subject. Sigh. Lunch time! We had the pleasure of eating whole fried fish in a small Garifuna village that is on one of the cays. The food was great, the aggressive selling of tsotchskes less so. But once lunch was done Desi and I walked to the end of the very small cay where he had a blast throwing coral rocks into the ocean and I had a blast taking pictures. Desi and a mid-air toss – the cay in the background can actually be reached on foot from the one we were on and they are collectively called the Twins. 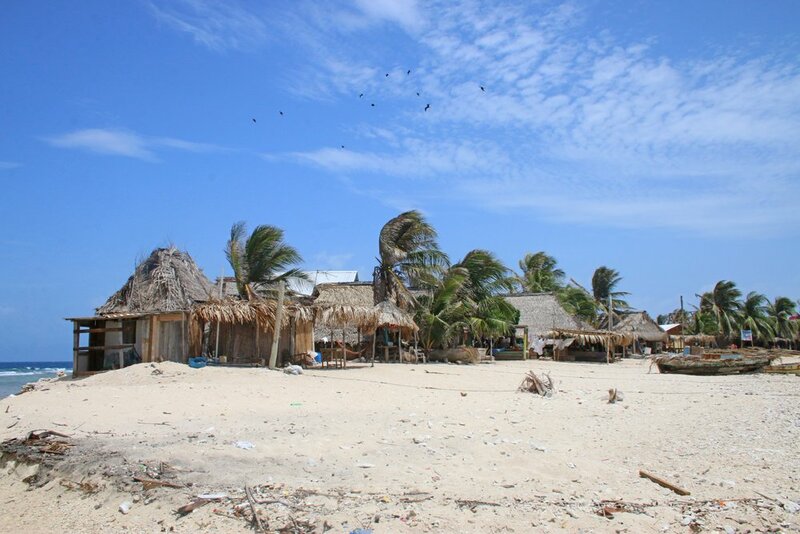 The small Garifuna village (with frigatebirds above). While Desi and I were throwing rocks we noticed that the wind had picked up quite a bit and the captain of the boat had noticed the same thing. We had to cut our visit a bit short but considering the choppy seas on the way back we were more than alright with that decision! I highly recommend a visit to Cayos Cochinos if you are visiting Honduras: it’s well worth a day or two, especially if you like the sun, the sea, and some solitude. Sure, I only spotted eleven species of bird but they were good ones and, more importantly, the whole family had a good time. What’s not to like about that? 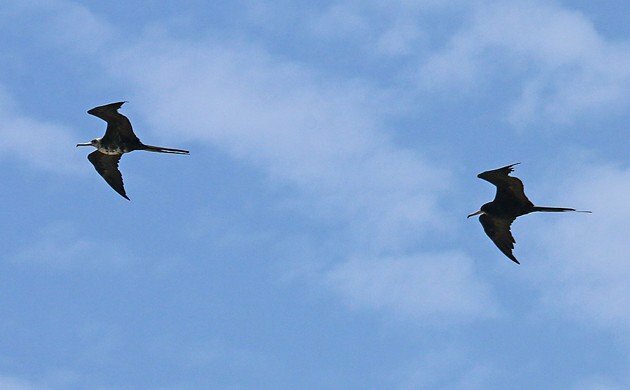 Island birding is all about quality over quantity. That’s some nice family friendly birding.